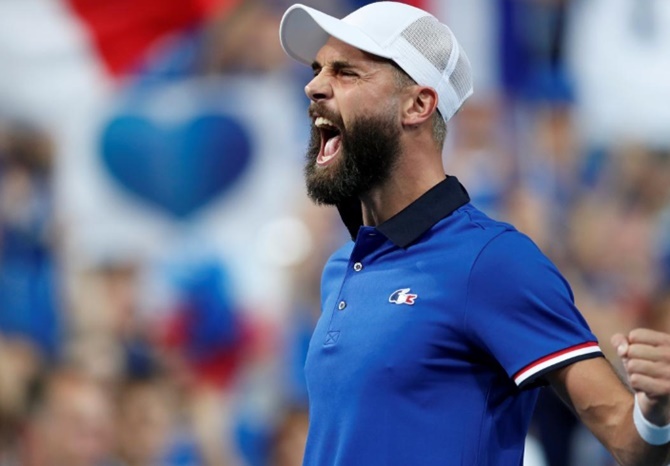 Benoit Paire made a remarkable Davis Cup debut for France, outplaying Pablo Carreno-Busta 7-5, 6-1, 6-0 in the opening rubber of the World Group semi-final tie against Spain at the Stade Pierre-Mauroy on Friday. Lucas Pouille, who annexed the winning point in last year’s final in the same stadium, was next on court, hoping to give the champions a 2-0 lead against Roberto Bautista Agut. Marin Cilic gave Croatia a stranglehold over the United States as he beat Frances Tiafoe 6-1, 6-3, 7-6(5) to put the hosts 2-0 ahead in their Davis Cup semi-final in Zadar on Friday. Earlier Borna gave Croatia a flying start by defeating Steve Johnson 6-4, 7-6(4), 6-3 in the opening rubber. 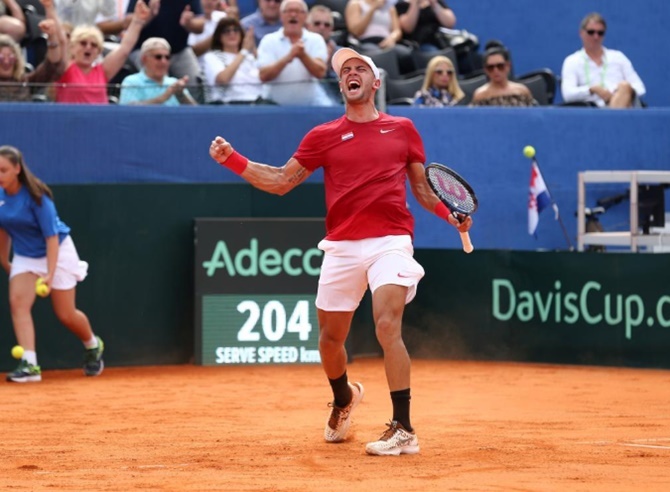 Coric’s emphatic win just underlined why the Croats, who had won all their four previous ties with the Davis Cup’s most successful nation, were overwhelming favourites to repeat the dose and reach the final of the last Davis Cup to be played in its traditional historic format before next year’s revamp.